After ten sessions, my German physical therapist sent me home with some hand-drawn pictures that looked like birds pecking the ground. I had reached middle age, and during my sabbatical in 2015, my scoliosis, weak knee ligaments, and flat feet were combining to make my lower back unhappy. The Berlin therapist had drawn pictures of me, and the beak indicated the direction of my nose in each exercise. I wasn’t sure how I felt about seeing “Frau Otis” written next to what looked like a splayed chicken. But the next day, I realized how much I needed her drawings. Without them, I wouldn’t have had any recollection of the exercises I had to do, although I’d performed them repeatedly in our sessions. Since the 1970s, researchers in many fields have been accumulating evidence about how differently people think. The most compelling studies have included psychologist Howard Gardner’s work on multiple intelligences1; engineer Temple Grandin’s illustrations of visual thinking2; and Thomas G. West’s historical surveys of visual thinkers’ achievements.3 By “think” I mean the ways that people process information consciously, as in remembering, imagining, and planning, although most mental activity is unconscious. My experience as a patient has shown me how relevant these studies of thinking are for therapists teaching patients how to practice movements. People vary in the ways that they learn to use their bodies. One person may watch a complex dance step once and “get” it instantly; another may need to do the step thirty times; and another may need to have it broken down step-by-step in verbal instructions. A few of the participants offered ideas of great potential value to physical therapists and other health professionals. Chief among them was flamenco dancer, teacher, and choreographer Linda Richardson (http://www.earthyflamenco.com). As a person who has never studied dance, I naively thought that when Richardson designs new steps, she must picture bodies moving in space. This is not true. Instead, Richardson told me, “I definitely go by feeling.”4 With what Gardner would call kinesthetic intelligence, she imagines how movements would feel if her own body was performing them. Richardson explains that when she teaches flamenco, she often uses analogies to help people understand the movements she wants them to make. Flamenco is a strong, emotional, natural dance, and she sometimes refers to natural forms to guide her students’ bodies. For example, she might ask students to extend their arms like a bird’s wings. If they try actively to picture a bird’s wings in their minds, they will notice that the wings dip down at the ends. I sensed from the interview that Richardson is a good teacher, alert to the different ways her students learn (L. Richardson, interview May 11, 2011). She said, “when I teach a footwork pattern, [I rely on] muscle memory. If I’m teaching something that’s . . . a bit more lyrical . . . I describe it using analogies.” Many of her students are professional women over thirty, and she develops creative comparisons to convey the movements they need to make. Jane von Seggern, who used to sell banking software, describes the situation of the teacher or therapist quite well. When she meets a new person, she asks herself, “How do they hear?”4 Scott Gilbert, a biology professor, has a similar thought any time he faces a new class. He offers an analogy from his field: if the students don’t have the right receptor, he can send them as much neurotransmitter as he wants, but nothing will happen. His job as a teacher includes giving them the receptors that they need but don’t yet have. “I have to find out what receptors that person has,” he says. “What stories that person will be able to receive.”4 This may be the best question to ask when one meets a new, interconnected mind and body that needs help. In what sort of message must the help come in order to be understood? Recent studies of patient-centered and mindful practice5 indicate that the success of therapy may depend on clinicians’ abilities to listen to patients, understand the ways patients’ minds work, and monitor their own responses to what patients say and do.6 Patients’ relationships with their bodies differ, as do their abilities to express and comprehend verbal instructions. To learn a movement, one person may need a verbal cue that evokes a mental picture; and another, an actual drawing. For a third person, there may be no substitute for the sensation of her body making the movement again and again. 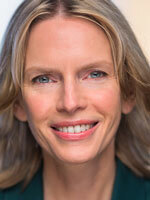 Conducting the interviews for Rethinking Thought taught me never to expect anyone to think the way I do. As a teacher of literature and writing, I watch students closely and keep trying different strategies until I’m sure they grasp concepts. I’m grateful that my physical therapist sensed I need diagrams, because I find it almost impossible to memorize sequences of movements. Verbal descriptions help me, as do drawings. My least favorite exercise involves lying face down with my head and legs raised, my shoulder blades pressed together, and my chin tucked in. It’s called “The Seal.” Together, the name and the picture help me recall the complex pattern of contractions required. I suspect that long before evidence came in for visuo-spatial and kinesthetic thinking, therapists were approaching patients in flexible, versatile ways. “How do they hear?” and “What receptors do they have?” are questions as relevant to health as to sales, biology, or writing. People’s preferred modes of thinking reflect their relationships with their bodies, and a clinician needs to learn the unique way each patient experiences the body that grounds her mind. Gardner H. Multiple Intelligences: New Horizons. New York: Basic Books; 2006. Grandin T. Thinking in Pictures and Other Reports from My Life with Autism. London: Bloomsbury; 2006. West TG. In the Mind’s Eye: Creative Visual Thinkers, Gifted Dyslexics, and the Rise of Visual Technologies. Amherst, NY: Prometheus Books; 2009. 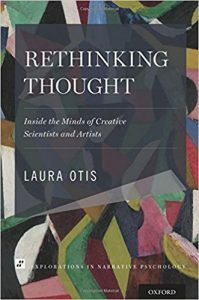 Otis L. Rethinking Thought: Inside the Minds of Creative Scientists and Artists. New York: Oxford University Press; 2016. Roberts LC, Whittle CT, Cleland J, Wald M. Measuring verbal communication in initial physical therapy encounters. Phys Ther. 2013;93(4):479-491.